WASHINGTON – The Trump administration said Thursday it will deny asylum to migrants who enter the country illegally, invoking extraordinary presidential national security powers to tighten the border as caravans of Central Americans slowly approach the United States. A three-judge panel of the 9th U.S. Circuit Court of Appeals unanimously kept a preliminary injunction in place against Trump's decision to end the Deferred Action for Childhood Arrivals program. Earlier this week, the Trump administration took the unusual step of asking the Supreme Court to take up the case even before any federal appeals courts had weighed in. In her absence, the court went ahead Thursday with a courtroom ceremony welcoming new Justice Brett Kavanaugh. 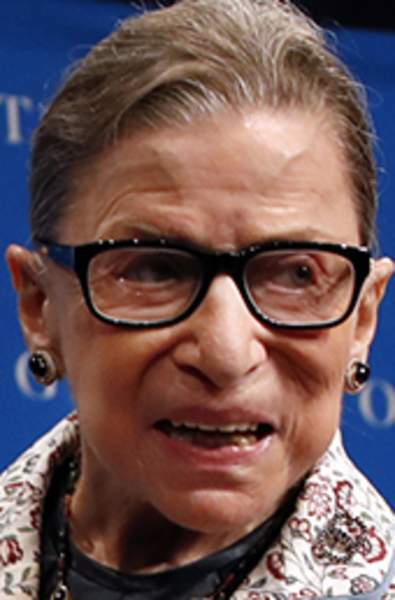 Ginsburg broke two ribs in a fall in 2012. She has had two prior bouts with cancer and had a stent implanted to open a blocked artery in 2014. She also was hospitalized after a bad reaction to medicine in 2009. But she has never missed Supreme Court arguments. The court won't hear arguments again until Nov. 26.